The free HP ePrint and HP Smart apps enable users to remotely control selected HP printers using their mobile devices. Through ever-evolving digital technology and the internet, people are discovering faster and more convenient ways of connecting with their loved ones from anywhere and sharing their adventures and experiences to millions of people around the world. This same boundless technology is what enables HP users to harness the capability of HP printers and put its power in the palm of their hands, wherever they may be. 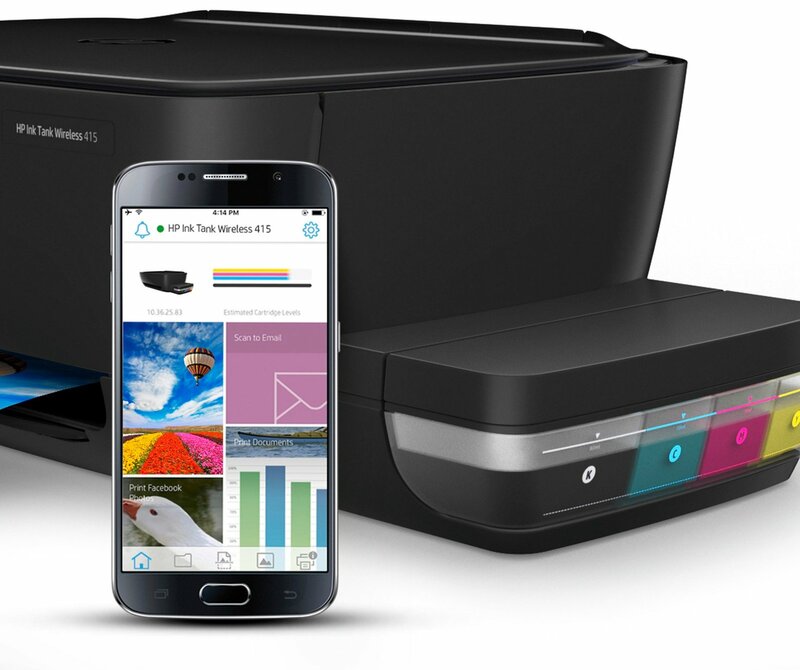 With the HP ePrint app and HP Smart app installed in their mobile devices, users can print almost anything, from anywhere, at any time, using their HP Photosmart network-capable printers with integrated wireless or Ethernet and selected HP Officejet printers. With the HP ePrint solution, users can easily print documents, presentations and photos by attaching .doc, .txt or PDF files, PowerPoint files, or JPEG, TIFF, BMP, PNG and GIF image files to an email message and sending this to the printer’s email address. The simple process does not require any printing software and enables HP printers to be shared among multiple devices with internet connection, including smartphones, tablets, desktop PCs, laptops, or notebook computers, in the office or at home. The printer’s HP ePrint email address is provided when the service is enabled during initial product setup and registration. HP assigns a random email address for the printer and does not publicize it to prevent unauthorized email. HP ePrint also provides industry-standard spam filtering and transforms emails and attachments to a print-only format to reduce the threat of a virus or harmful content. With the HP Smart app, users can print from their mobile devices to virtually anywhere with HP selected printers, including the HP Ink Tank Wireless 415 AiO printer. The app enables printing photos and documents directly from smartphones, tablets and other mobile devices; Facebook, Instagram or other social media platforms; cloud storage like Dropbox, Google Drive and camera-roll gallery. The app even customizes photos for print optimization. With the HP Smart app, scanning and sharing files on the go has never been faster and easier. With the app, just take a picture of the document using a smartphone camera, and share them to the cloud, email or social media. The app’s automatic border detection makes scans align perfectly for professional looking images. The app also enables sending and sharing digital files to the printer for remote printing. Running out of ink or toner will not be a problem as users can easily monitor and order supplies using the HP Smart app. The HP ePrint and HP Smart App free mobile apps for Android and iOS devices are available for download at Google Play and the App Store while the HP Smart App is also available at www.hp.com/go/mobileprinting. For more details, please visit authorized HP resellers nationwide.